Cottontails Baby: Moulin Roty in a sea of mud! Moulin Roty in a sea of mud! 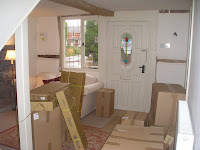 It's only 11.15 and I am already feeling exhausted after battling with an enormous Moulin Roty delivery. I work from home and it is always a fiasco when large pallet deliveries arrive because we live at the end of a drive which is too small for articulated lorries. 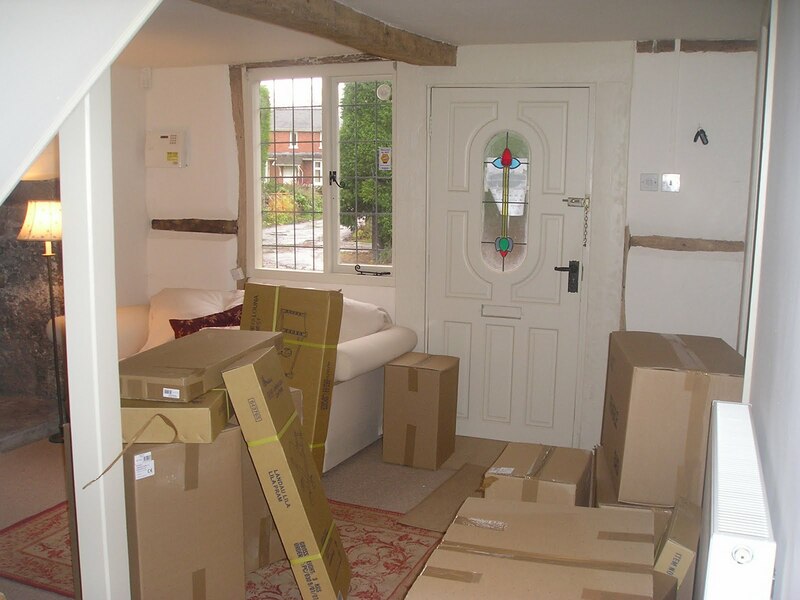 I always request a small van at the time of order but about half the time instructions are ignored and lo and behold a week later the delivery arrives care of some poor driver with a vehicle far too big to get anywhere near the house. 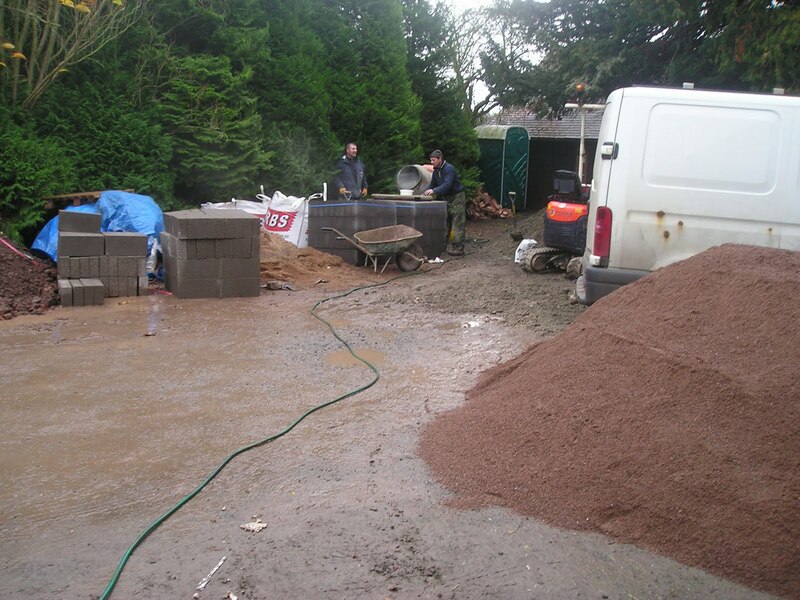 To make matters worse at the moment we are having our drive landscaped and it is a terrible mess of mud and sand and digging machines, so my heart sank this morning when I spotted - through the pouring rain and across a sea of mud - a giant vehicle parking up at the bottom of the drive. Sure enough it was a pallet for Cottontails. The driver was very decent and dragged the pallet up the drive for me - thank you driver! - but even then it was abandoned in the middle of the mud. 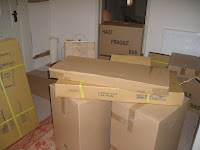 Then one of the landscapers, Kevin, was very kind and helped me to split up the pallet and bring the boxes into the house. Thank you Kevin! In the urgency to get everything out of the rain it all ended up in the hall in our house - and I work from an office behind the garage - so I spent the next hour manfully heaving boxes down the garden... and now I am flaked out and ready for a rest, not a days work! Not much fun when it's like that! I do sympathise with you. One end of our lane is still cut off due to flooding. There is mud everywhere and muddy paw prints all over the white floorboards. All I am doing is cleaning our floors throughout the day! 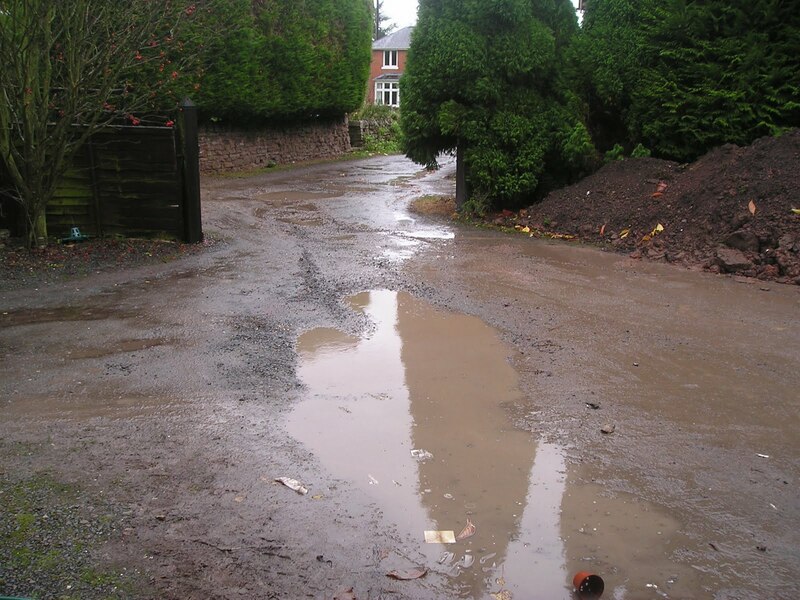 Let's hope you muddy puddles clear up soon! What a pain though it sounds like the delivery guy half tried. Hope the muddy puddle gets sorted soon though great for putting on wellies and sloshing through! ps. Your mum sounds like the best. I hope you find the energy. You are really one busy girl! When it rains it pours...glad your mom came to help all refreshed and ready to take on the task. xoxo Thanks for entering my first ever giveaway. safe and dry!! just found your sweet blog... i'm off to read more about your bunnies. hope all your treasures safe & dry ....what weather !!! Hello. Hope you got it all sorted! Looked like a lot of hard work! Had a lovely break thanks :) the bunnies went to stay at Auntie Sues (she has lots of rabbits) and is a veterinary nurse so is a dream rabbit sitter. I know they are totally safe with her.